Steffi is a professional think coach and has been coach at Eunepa since 2014. She has been accompanying international executives, teams and organizations, as well as international entrepreneurs to realize their full potential for over 10 years. 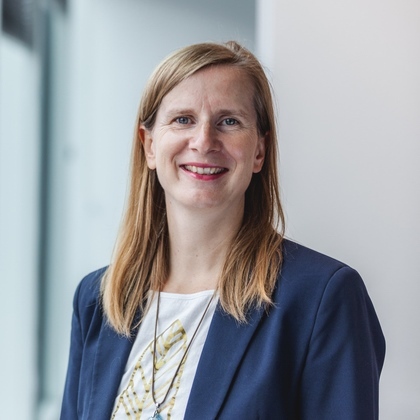 Since 2016, Steffi has been working at the University of Applied Science for Management and Communication Vienna and develops, coordinates and teaches Human Resource Development and Coaching within the Bachelor and Master study programs. Steffi holds a Master’s degree in Social Sciences and Business Administration from the Vienna University of Economics and Business Administration. She is also an Associate Certified Coach (International Coach Federation). She speaks German, English and basic Persian. How can we optimize your business?